The days of keggers, clubs and beer pong are officially gone and now a Friday night turn up is a popcorn party y'all! 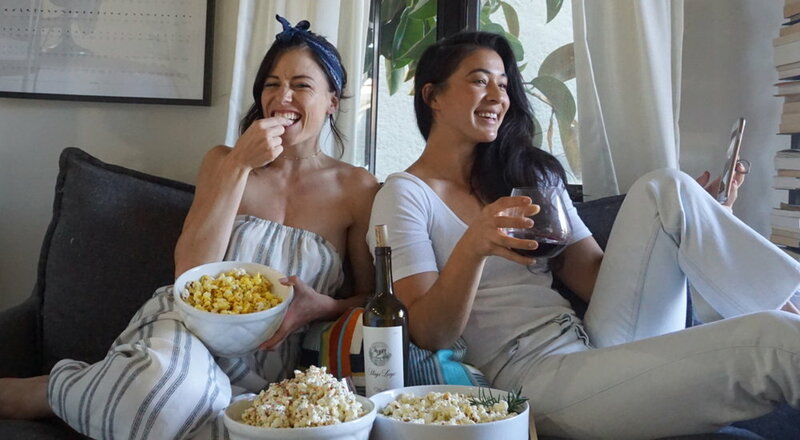 Not only is popcorn low carb and filled with fiber, you can season it to your liking or your glass of wine. My friend Ashley Cinq-Mars came over and we swapped our favorite flavors- two herbalicious healthy options and one treat because hey, it's Friday! 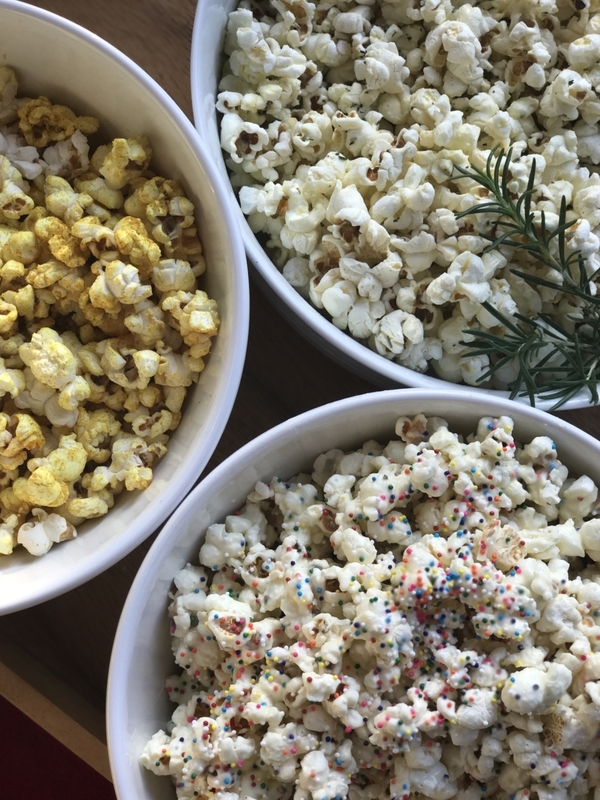 Don't tell me you still pop popcorn in the microwave...I'll ignore those who said yes and you can read below to see how easy it is to make a fresh, radiation free batch of popcorn. Add as much of each ingredient as you'd like... the oil is key so the yeast and turmeric have something to stick to. If you've recently had a light colored manicure, beware that turmeric will stain! The popcorn is delicious without the turmeric as well. Truffle Oil- 100% authentic truffle oil is insanely expensive and very strong tasting. We found a truffle/olive oil blend for $15. 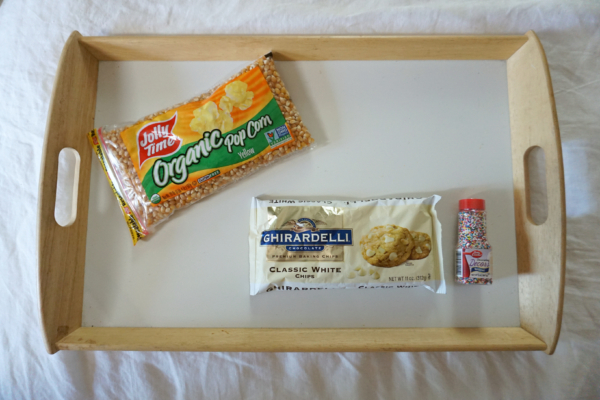 Toss popcorn with these ingredients and enjoy. Always start with less truffle oil and add to your liking. 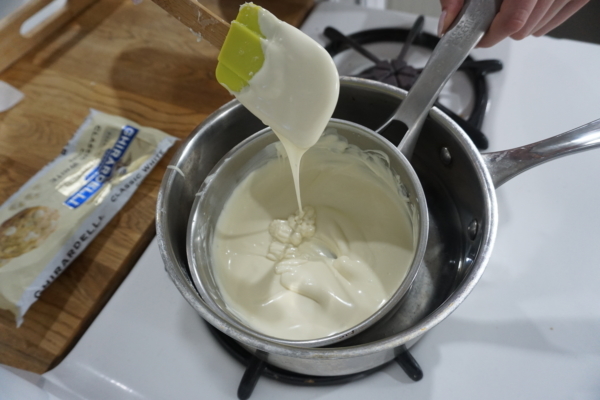 1 bag of white chocolate chips, spring for the good stuff! Microwave: Place chips in microwave safe container and heat for 30 seconds at a time, stirring in between until melted.